Omaxe The Lake: Experience Luxury like never before! Developed under the banner of renowned Omaxe builders, and situated around the cool and windy Shivalik Mountain ranges, Omaxe the Lake offers some of the most luxurious apartments in the whole of Punjab and Haryana. The city of Chandigarh, which has the famed title of being the first planned city of India is also one of the cleanest, calmest aside from being one of the most peaceful cities in India. Thankfully, this project by Omaxe builders has been started keeping in mind the grandeur of Chandigarh. It has every facility that its residents could ask for, aside from the extra benefits of its beauty. The mega project offers some of the best-made penthouses for sale.luxury from its every corner, these 4BHK penthouses are being offered in various variations so that they cater to the needs of different people. The different variations of penthouses include different designs of interiors, namely Emerald, Isabella, Caspian, and Victoria. Each and every penthouse has a different size and depending on its location, it differs a lot from any other penthouse. The range of sizes of the penthouses starts from 950 sq. ft. to a whopping 9400 sq. ft.
Blending in modernity with the scenic locations of Shivalik, Omaxe The Lake New Chandigarh offers some world class amenities to its residents. The residence has the best possible sporting facilities for its residents such as a cricket net, skating rink and a tennis court. For the peace lovers, there is a state-of-the-art meditation centre, and for the fitness freaks, you have a top of the notch gymnasium. The residence also has a jogging track for the athletic residents. There is also a top of the line kids play area, where both the kids and their families can mingle, and maybe finish their day in the restaurant at our residence, or have a dose of entertainment at the amphitheatre. 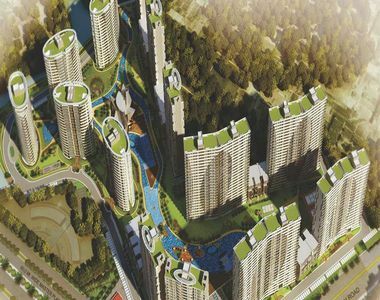 The project has a senior citizens area, a lotus pond, and a lily pond which offers a serene environment to home buyers. This posh property in Mullanpur is located in a very close proximity to the best restaurants, educational institutions and hospitals. Omaxe The Lake Chandigarh also has all the basic and civic locational amenities around it. It also has a great connectivity to all the major locations within and around the city. The benefitof Chandigarh being a planned city is that it has all the basic amenities around every locality. In terms of its cost effectiveness, Omaxe The Lake price is very reasonable. The price of each and every penthouse differs in proportion to the size. With the project still being under construction, you will definitely get the penthouses at a better price, and with the trust of Omaxe, you wouldn’t have to worry about its possession. PGI Hospital and Taj Hotel in close vicinity. Close to Expressway & Sarangpur Institutional Area, . Perfect connectivity from Baddi Industrial Area 12 kms away . Chandigarh Sector 17 (10 kms away) and other major towns of Punjab.